Will the UK lose its influence in the world if it leaves the European Union? That’s what President Obama is saying, in comments about Britain’s potential EU exit by as early as next year! 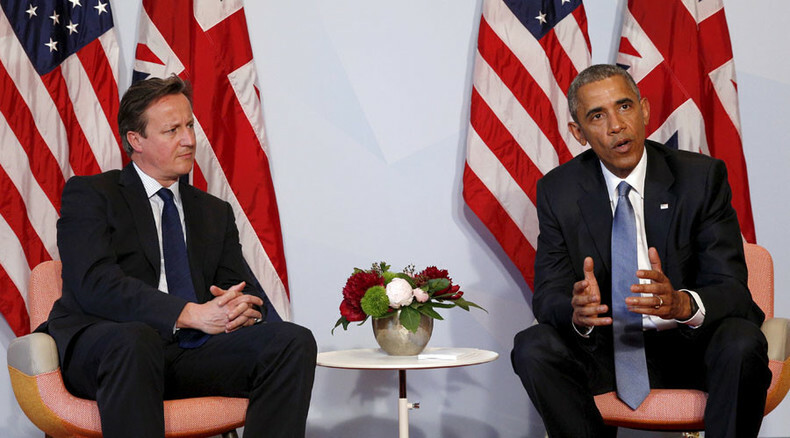 In an interview with the BBC on Thursday, Obama said the UK should stay in the EU to maintain its influence in the world. Ameera David weighs in. Erin Ade is joined by Gary Leff, co-founder of Milepoint.com and blogger at “View from the Wing”. Gary tells us why limited service hotels have been on the rise over the past 10 years and gives us his take on how companies like Airbnb are changing the hotel industry. After the break, Bianca Facchinei takes a look at a new bill proposed by congressman John Mica (R-FL) that would decrease the cost of checked baggage fees to $4.50. It's a pretty bold move considering the airline industry made $38 billion off such fees last year. Ameera and Erin go on to discuss how Anthem is buying rival Cigna for $52.3 billion – a deal that will create the largest US health insurer by membership and reshape the US healthcare insurance industry. And in The Big Deal, Ameera and Edward Harrison talk about the Financial Times, Apple, and Amazon. Apple makes a huge profit but its stocks are sinking, while Amazon ekes out a much smaller profit and enjoys soaring stocks. The FT shows us how the world is becoming both more digital and more global.